Do you suffer from pain or another serious condition? Your doctor probably prescribed pain pills or other pharmaceuticals but fortunately, you have a better option. It’s Laser therapy! Red infrared light has been proven to heal a multitude of health problems. Red light is one of the visible rays in the light spectrum. It doesn’t use harmful UV rays; rather, these are the rays emitted by the sun that are beneficial to your health. A great option when receiving red light therapy is using Bioflex Laser Therapy. Continue reading to discover this ground-breaking technology. Bioflex Laser Therapy is a system that administers the low light far infrared laser. This helps eliminate pain and enhance your healing. This is a noninvasive treatment, meaning no surgery is required. This service is also completely pain-free. The lasers used in Bioflex therapy are low-level, which means they don’t cut the skin or tissue. The red and infrared light penetrates your skin to the painful area, healing from within. The healing occurs when the light restores cells back to full function. Infected cells are eliminated and they’re restored, replacing the damaged cells with healthy cells. If you’re researching different types of light therapy, you probably notice they all use the same infrared and red light. How does Bioflex differ? Bioflex uses the same laser as low light level therapy and cold laser therapy, but Bioflex’s secret comes from the engineering. The Bioflex system was created by Meditech International, who is an industry leader in light therapy products since 1989. The Bioflex system is used by 700 clinics all over the world. The advanced technology helps treat patients effectively and fast. This helps for quicker, affordable and easy relief. What Does Bioflex Therapy Treat? Patients with musculoskeletal, bone and joint issues are the perfect candidate. 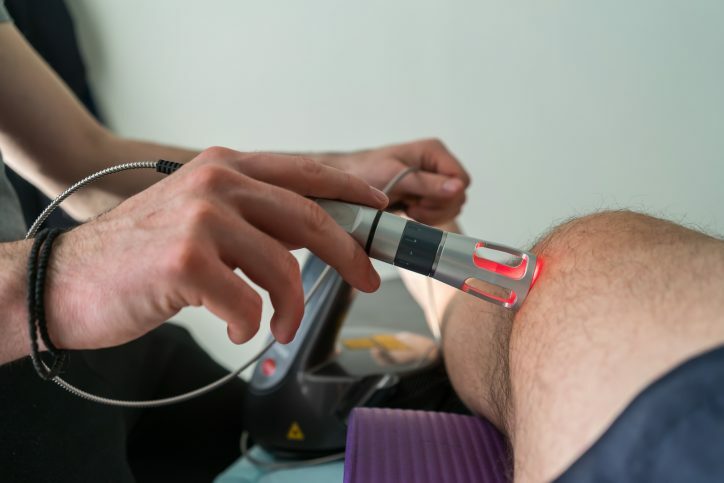 This laser can help conditions such as arthritis, back pain, tendonitis, and other soft tissue injuries. Depending on your condition, a treatment can be as short as 30 minutes or can take over an hour. The number of treatments required also depends on your condition. Some patients only need one treatment. Other patients will need several, with the max being around 25. If you’re interested in trying low-level laser therapy, Bioflex Laser Therapy is one of the most advanced systems today. This treatment can heal a wide array of patients and conditions. Contact Sloan Natural Health Center at 905-493-3553 today to find out how the Bioflex system will work for you!